When I think of highways, I think of other cars, the open road, corn fields. I think of how limitless, how borderless these highways can be, allowing us to go straight, turn left, or turn right, as we please. But there are also barricades: toll roads, No U-Turn signs, and Detour Turn Left/Right; these are instances, largely like the ones of our own lives, that surprise us and may even challenge us to change course and adapt to the situation. Maybe truly being ourselves works that way, too, constantly challenging us to stay true and move forward, no matter the detours or roads not taken. 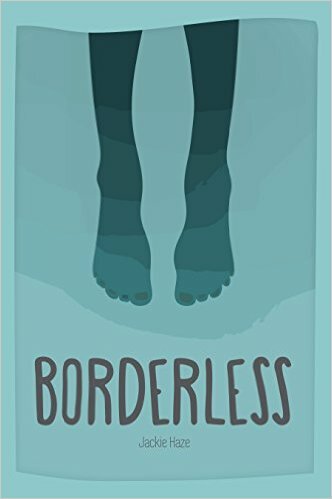 Jackie Haze tackles these concepts in her debut memoiristic piece, Borderless, head on, coming to terms with her identity, her sexuality, and her role in society, with her friends, and as a member of her family. Detours are taken, roads end, and sometimes we have to make an illegal U-Turn to keep up with her characters, but this adds a richness and vivacity to the text that becomes something more genuine than simply describing a life-changing experience. 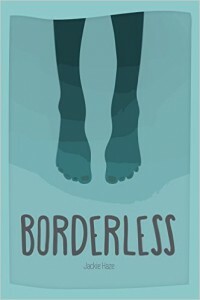 I think what I loved most about this book were its affinity toward exploration and its challenging of social norms. My favorite “mini chapter” of this book continues to be “balloon,” in which Haze states that she “couldn’t seem to settle with the common or the traditional.” Haze also spends a great deal of time considering the role of wonder in our lives, and how that transforms for so many from magic in their childhood to mundane or triviality in adulthood. Haze, on the contrary, felt that there was still magic to be found in the world and that “the magical people must be in the hidden back roads and dusty cubby holes of life: on highways, in hostels, and in shabby, smoky cafes.” Haze believes in the magical and the extreme, but also the mundane; and when these two existences are placed side-by-side and forced to work through it all together, moments of beauty are able to happen. My primary issues with the book related to the inclusion of mundane details and some questionable expressions of emotion. Haze is very comfortable in her use of repetition, and at times perhaps a little too comfortable, in which case the reader finds themselves in a repeated place, which ultimately becomes a distraction: too much description provided to a mundane activity (on more than one occasion), full letters included when only a glimpse would have done a better job, and the expression of crying or eyes welling up with tears. However, despite this notation, I feel that this is a strong story by a very agreeably good writer, who will only get better with time, further publications, and the pursuit of her wanted MFA. This author and this book value wonder and imagination and taking chances. Take a chance and read this book. It will pick you up and carry you through quickly, and you will appreciate its journey. JACKIE HAZE, according to Jackie: What does one really say in these about sections to give an idea of a person as a whole? Here’s to trying. I am a 29 year old lesbian trying to truck my way through school in hopes to become a Creative Writing Professor. Unlike the usual lesbian, I don’t switch partners like my underwear and I don’t have to fit under any category. I will rock a tie or a dress just the same and appreciate that we have such versatility. Perhaps more like the usual, I really can’t dress well. Despite being an artist. I do have personal rules, though. Like I can’t wear black with brown. And I will never wear white socks. Socks must be black, brown or gray for the most part. I am super ultra sensitive. To and with everything. I feel people’s energies strongly. At 29 I have never had a one night stand and do not have a need for outside validation or approval. I always want to travel, always want to pick up and go. To live on the road would be idea for me. I have always been big on words and language. Do not talk to me or write to me like you are texting or change “to” or “too” into “2” or replace “er’s” with “a’s,” etc… I am not sentimental about things. I am quite the minimalist. I love travel and if I could live on the road most of the time, I would. I have been described as a well-traveled old soul who sees the world through young eyes.